Color: Green, White, Blue, Grey, Yellow, Etc. 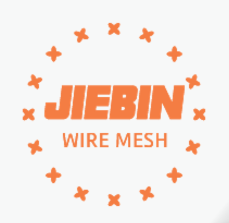 Hebei Jiebin is a professional manufacturer and exporter of Welded Wire Mesh, Wire Mesh Fence products with 12 years experience. Our Wire Mesh Fence Products include: 358 Fence , Field Fence , Mobile Fence and Chain Link Fence. Per set Welded Mesh Security Fence include Welded Wire Mesh Panel, Fence post, clamp and other accessories. Welded Mesh Fence Panels are widely used as fencing in the area of railway, highway, city transport road, factory, industry zone,sightseeing zone, farm, courtyard, park, zoo, train and bus station, lawn, hotel, supermarket, etc. 1. High strong quality, beautiful design, easy to install. 2. The panel is welded by high quality Steel Wire , surface treatment is heavy galvanizing, PVC coating, good performance on anti-corrosion and anti-rust. 3. The panels with bends can make it more stable and stronger. Looking for ideal Welded Mesh Panels Manufacturer & supplier ? We have a wide selection at great prices to help you get creative. All the Security Fence Panels are quality guaranteed. We are China Origin Factory of Security Fence Panel. If you have any question, please feel free to contact us.